For many of us, patriotism is cheering for the Indian national team at a sporting event and seeing it win. For others it is expecting the nation to become a world leader some day. But there is a place in India, where the sense of patriotism is unique. The whole air and feel about that place makes you say: “Yes, I am a proud Indian”! We are talking about the Wagah Border, situated 32 KM away from Amritsar. Though there are hundreds of international border posts in India, this is unique. 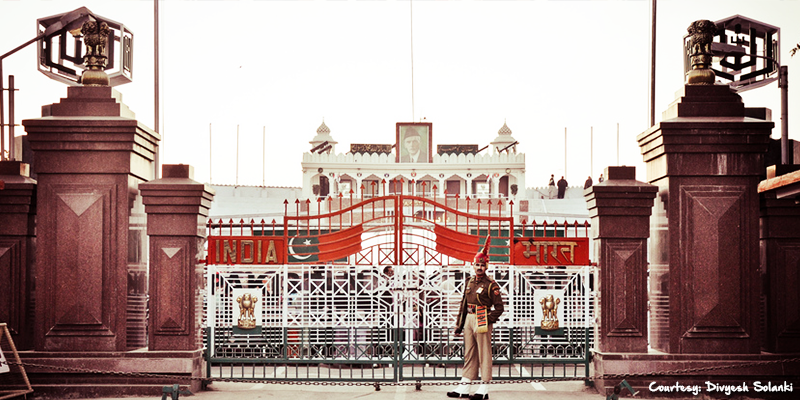 What makes it unique is the flag (beating retreat) ceremony held at the Wagah Border every day. So, let us take a look at this intensely patriotic place. This ceremony is known by many names such as beating retreat or flag lowering ceremony. During the partition of India in 1947, migrants from India entered Pakistan using this border area. 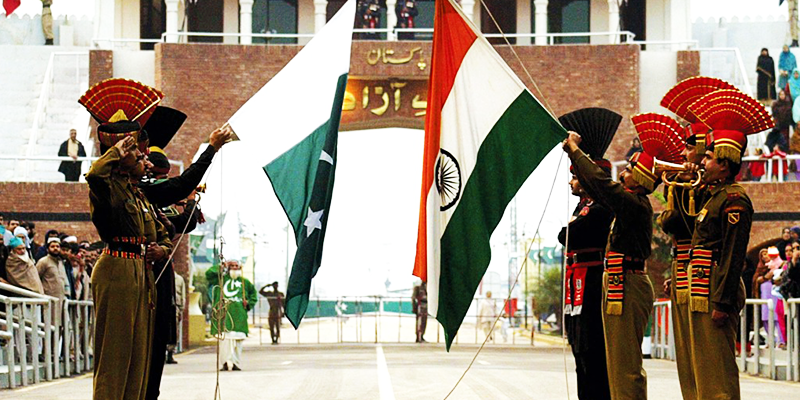 It is one place where India and Pakistan come together, though they are on separate sides of the border. The daily ceremony has been practiced by the Indian Border Security Forces (BSF) and Pakistani alternative, Pakistan Rangers. Often seen as a sign of cooperation and brotherhood between these two rival countries, this is an experience for a lifetime. The ceremony takes place in the early evening hours, but visitors come in from the afternoon itself with anticipations of seeing this special ceremony. There is a carnival like atmosphere at this post, often undermining less than friendly relations between the two nations. When the time comes the Border Security Guards perform their daily drill. With the barbed wires, strong gates overlooking Pakistan and the mellowness of the evening sun setting in the backdrop, surely leaves everyone with flamingly high-voltage patriotism than ever. Just before the ceremony is scheduled to start, the air resonates with nationalistic chants (such as “Vande Mataram” and “Bharat Mata ki Jai”). Patriotic-Bollywood numbers prepares the mood on the Indian side. You can hear chants of “Pakistan Zindabad” and playing of Koranic verses on the Pakistani side. Once the scene is set, border security guards in their crisp uniforms appear and rapidly stride thrice towards the border gate. With giant exaggerated steps, stomping of boots they march towards the Pakistani counterparts. Then, border gates on both sides are opened, one representative from each country emerges into the No-man’s land and there is a vigorous handshake between the both. 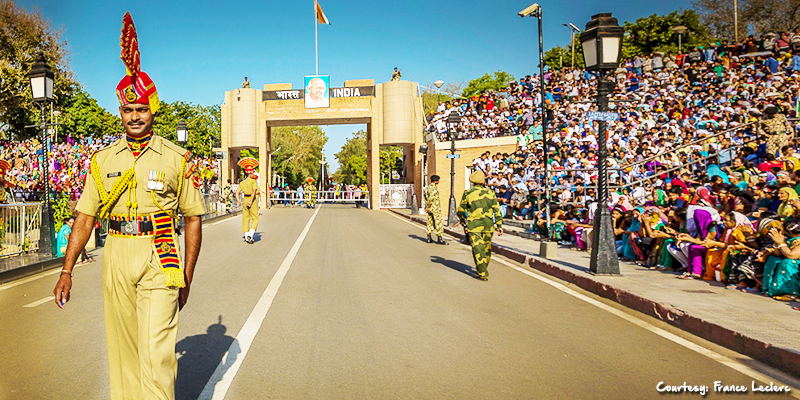 Once the greetings are exchanged soldiers close the gate and lower the Indian tri-color. It is folded into a diagonal and carried by a marching soldier. Many audiences are seen shedding tears or clapping non-stop, which is the type of hysteria this ceremony creates. The grand ceremony comes to an end in the same way every day, with utmost silence. Timings: The border gate remains open from 10 AM – 4 PM. The ceremony starts mostly on 4 PM, but the timings vary as per the existing weather conditions. Tip 1: If you want the best seats to view the ceremony arrive at the Border post within 2:30 PM. Tip 2: There are special seats for women. While seats near the gate are reserved for VIP pass holders. 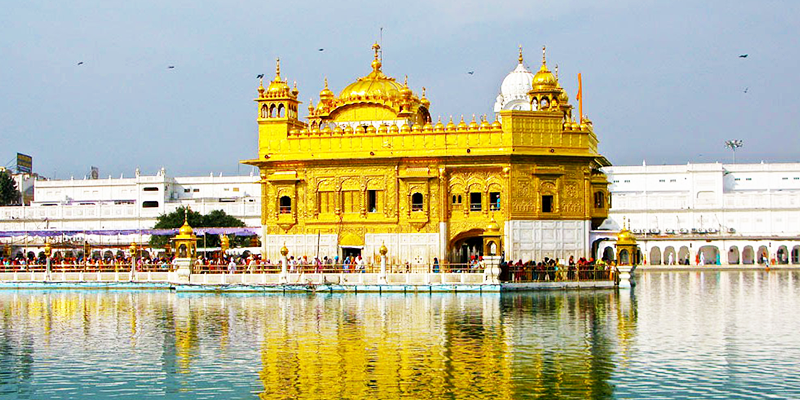 Golden Temple: Centered in the heart of Amritsar is this golden architectural marvel. Immerse yourself in the holiness of the gurudwara and the soulful Kirtaans. Don’t worry about the lunch either, after you’re done getting awestruck by this place, head for some food from Guru da Langar. The food served here is tasty, hygienic and filled with love! 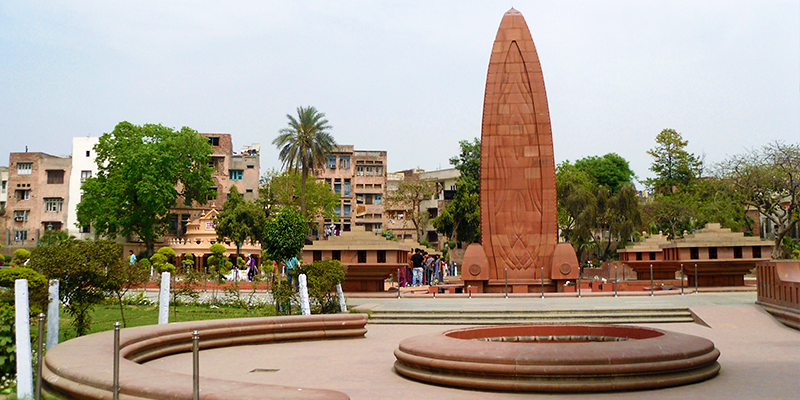 Jallianwala Bagh: At a stone’s throw distance from the Golden Temple is the very famous war memorial, Jallianwala Bagh. The tall garden wall which still has those bullet marks along with the well in which people jumped in order to save themselves from the bullets, are sure to give you chills!